Whilst working from our practice rooms in David Lloyd over the past 7 years, we have treated many people who attend the gym itself for various reasons. Whether it be on a mission to lose weight, reduce chronic pain, fuel an eating disorder or recover a sense of control, we have been able to provide mental health support and guidance. Inspired by the many clients we have worked with within these contexts, we have teamed up with Ryan to create this holistic programme which provides an ideal combination of mental health, nutritional and physical personalised support in a unique intensive 12 week programme. A healthy body and healthy mind come hand in hand - one cannot be achieved without the other. Diets, well begun mindfulness activities and enthusiastic exercise routines may get brief results but are not sustainable and before we know it we are back to square one, our confidence and mental well being along with it. It is about developing a lifestyle which is sustainable, enjoyable and promotes a sense of well-being and contentment. How this looks is very individual and together we can help you develop what works for you. We will work on various areas over the 12 weeks including mindfulness training, CBT to tackle poor thought patterns, motivational difficulties and other weaknesses. An audio is included for you to practice the skills taught at home. We can cover things like your relationship with food, how you manage stress or how your current lifestyle may impact on your health - what we cover will be decided during the assessment and reviewed through the programme. Ryan is a fully qualified nutritionist who will work with you to understand the role food and drink play in your physical and mental health. Everyone is unique in terms of what diet suits them and Ryan will help you explore this. He can help with meal preparation, provide recipes and help you develop a sustainable diet that is about enjoying food and feeling content. We are also approved Lorisian practitioners so are able to provide a food intolerance blood test as an optional extra. 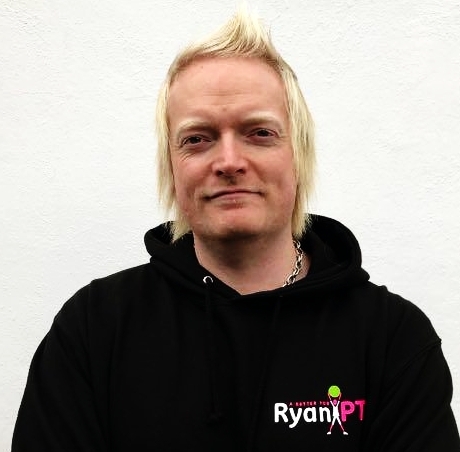 Ryan will work with you to explore the sort of exercise that will fit in with your life and be enjoyable. He can travel to your home to put you through your paces, or train you at David Lloyd Maidstone if you are a member. Over the 12 weeks Ryan and you will create a long term sustainable activity plan which will enhance your mental well-being as well as improve your physical health. Cost of the programme is £495 currently but will increase to £695 in August. Instalment plan available.